Egida Aurea was born in Genoa (Italy) in summer 2006, from the cooperation between Diego Banchero (bassist and composer with Malombra, Il Segno del Comando, Zess and Recondita Stirpe) and Carolina Cecchinato (female vocalist of Recondita Stirpe). Later on, Fernando Cherchi (accordionist), Mirko Girondini (acoustic and classic guitarist), and Guglielmo Amore (percussionist, and currently vocalist as well), all coming from Recondita Stirpe, joined in. heterogeneous and aims to experiment neo folk sound, by recovering characteristic compositions and expressions typical of the traditional Italian songwriting. Besides, the unbreakable connection between popular music and culture inspires the band by the ancestral memory of some European countries, with specific regards to the mediterranean area; the musical folklore of such countries contributes to the formation of a solid and yet polyhedric identity in these critical worldwide times. Egida Aurea has got no political involvement and simply deals with the artistic side of an extinct past and an oppressed present, and intends to stay away from the way modern world is run. 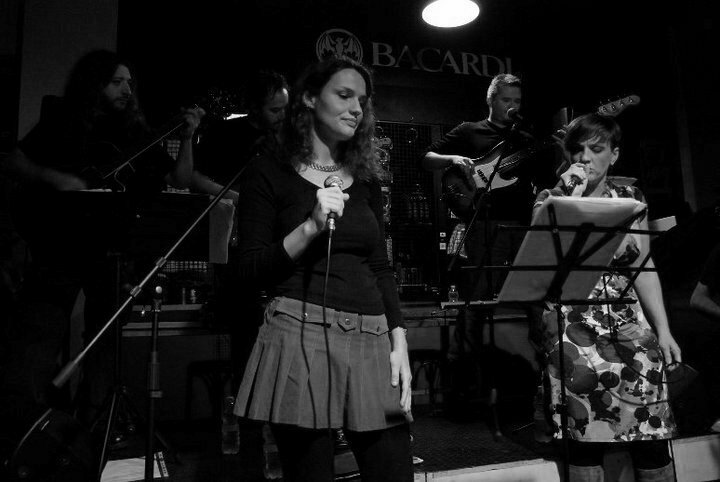 Egida Aurea debuts with the song "Il Giorno delle Chimiche Brume" (The day of Chemical Brume) in April 2007, which was included in the on line compilation "Donec ad Metam", produced by www.neo-folk.it. Including an 8-page lyrics booklet. Track 9 is a ghost-track and is actually titled in the booklet as "L'Ultimo Valzer".